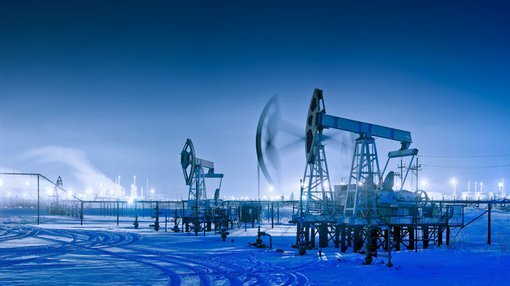 In the last instalment of our investing in oil series, we introduced you to the oil and gas market: the price, market risk and how to read the potential investment signs. This week, we cover what to look for in a prospective oil and gas company. So let’s say you’ve taken the plunge and think oil and gas prices have pretty much bottomed out, what should you look for in a potential buy? There are several factors, but let’s look at just one of those aspects now. What kind of portfolio does the company have? There’s no one-size fits all portfolio type with oil and gas companies, it really comes down to what sort of risk profile you’re comfortable with. A lot of the small oil and gas companies listed on the ASX have one or two main exploration targets under their belts – often termed ‘wildcat’ prospects because nobody’s thought to look for oil or gas in the regions they’re exploring in. This represents the higher range of risk with oil and gas companies with the success or failure of the stock coming down to the success of one or two wells. The general rule of thumb is that offshore prospects cost more than onshore wells, so a hit or miss offshore has the greater potential to move a share price in either direction, but more on this later. Generally speaking, a company with a diversified portfolio represents a safer bet than a company with one or two high-impact prospects under its belt. However, counteracting that is the fact that success at any one prospect doesn’t trigger quite the momentous jump in share price as success as a company flagship may. Another thing which should be taken into consideration is the ‘lifecycle’ of the company and its assets. By that we mean whether its assets are in the exploration phase, in the proven resources phase, or production phase. Generally in the exploration phase, it’s trying to prove that there’s oil or gas in a particular reservoir by drilling wells, taking samples and doing geotechnical work. The first phase generally will be to conduct seismic surveys, either 2D or 3D. This involves sending a sound wave underground and measuring how long it takes to ‘bounce back’. By doing this, the company will have an idea of the rocks it has under its feet. With technical data in hand, it will then select what it thinks may be a great drilling spot to get a better idea of what’s under its feet by literally bringing some of the rock up to the surface. This is known as grabbing a core sample. If a company is lucky enough, then its exploration well will start gushing oil or gas straight away and so the work begins for it to become a production well. In general, a smaller company will have exploration targets with not a lot of producing assets and investors will essentially be betting against future production earning the company money, and possibly dividends down the road. A larger company may have some producing assets, meaning that it has some cash coming in and it is along the road to possibly returning some cash to shareholders. But what kind of reserves does it have? Trying to get a beat on just how much oil a company has in its portfolio can be a tricky business. Between proven, possible, and probable reserves it can be hard to figure out what it all means. 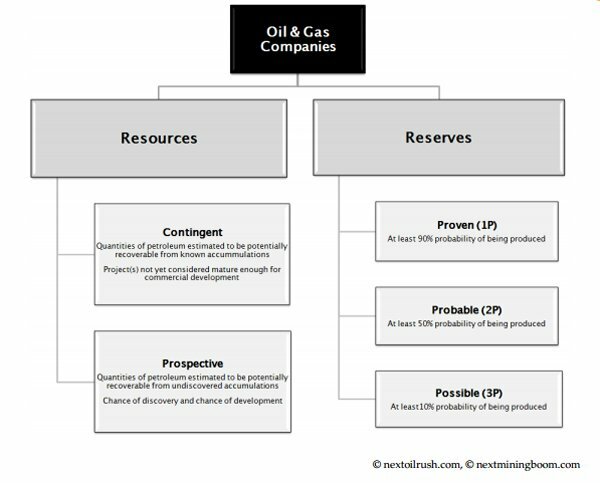 Generally, the amount of oil a company is either exploring or producing is divided into two categories: resources and reserves. Generally speaking, resources are gained through the technical work up such as seismic surveys or coring while reserves are firmed up by exploration drilling and seeing what kind of resources come to the surface. A company with a lot of 1P or P90 reserves is considered to be more valuable than a company with a lot of 3P or P10 reserves. 1P or P90 reserves means it has a certain amount of oil or gas with a 90% probability of it being produced while 3P or P10 reserves means it has a certain amount of oil or gas with a 10% chance of being produced. So it’s easy to be seduced by a large 3P reserves figure, but investors generally wait for reserves to work up the chain to more proven reserves before piling in. However, it is a sign that a company could have its foot on a lot of oil or gas. In part 3 of this series, we’ll look at how the company makes its money, and who’s involved?